Home > Types of Cancer Surgery > What is Electrosurgery? Electrosurgery is a procedure which involves applying a high frequency electrical current to destroy cancerous cells. It is most commonly used to treat skin cancer but can also be used in the treatment of certain oral cancers. There are a number of different electrosurgical devices which can be used for tissue cauterisation. However, electrosurgery, itself, uses an alternating current to directly apply heat to the tissue whilst the tip of the probe remains relatively cool. On the other hand, other electrocautery devices work by using heat conduction via applying a direct current from a hot probe. In some cases, electrosurgery follows after a curettage procedure. Here, the curettage involves scraping the skin to remove skin tissue with a ‘curet’ which is a surgical instrument shaped like a spoon. The burning of the skin tissue is the electrosurgical process which follows curettage and as well as helping to control bleeding, it also destroys any remaining cancerous cells. In some cases, it is the preferred alternative to laser surgery or cryosurgery, although it can be used in conjunction with cryosurgery too. Electrosurgery and curettage are most commonly used to treat cancers on the skin’s surface at its outermost layer and also to treat new skin cancers. They are also used to treat both basal and squamous cell carcinoma. Basal cell cancer often appears on those parts of the body which have been exposed to the sun. Signs include fleshy small bumps which often have an indentation in the middle which are smooth in appearance. They can also resemble a scar type lesion which is firm to the touch or a tender red spot or bump which tends to bleed easily, then form a crust then bleed again. Typical areas where you’d find basal cell cancer include the head, neck, face, shoulders, chest and back. Electrosurgery can sometimes be combined with radiotherapy or chemotherapy in this instance. 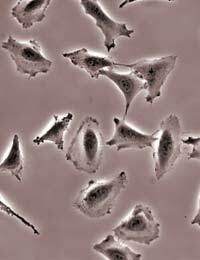 Basal cell cancer is mostly associated with fair-skinned people. Squamous cell cancer in situ is often referred to as ‘Bowen’s disease’. This is a cancer that only affects the top layer of skin and does not invade other healthy tissue surrounding it. Again, it mainly affects areas which are directly exposed to the sun and appears as round or irregular shaped reddish patches. With Bowen’s disease, however, it is more common to find that people who suffer with this are more likely to go on to develop other cancers of the skin or even cancers connected with the lungs or gastrointestinal tract. Electrosurgery and curettage have been found to have a 99% success rate of curing basal cell cancer which is less than 1cm wide and an 84% success rate if the affected area is more than 2cm wide. It’s particularly effective on new skin cancers but less so for recurrent skin cancers where there has already been a development of scar tissue. Depending on the actual procedure being carried out, recovery time can take between 3-6 weeks during which time the wound needs to be kept clean and dry until a scab appears. It can sometimes result in slightly scarred or raised skin as well as a slight change in skin colour of the affected area.